A selected week from earlier in our world tour of quotations. 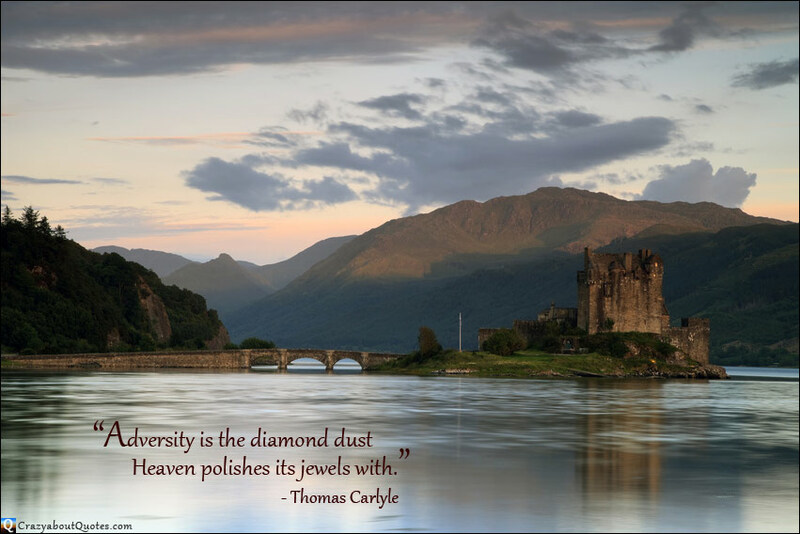 Our quote of the day world tour is staying in Scotland all week for inspirational quotes. Enjoy. "What this power is I cannot say; all I know is that it exists and it becomes available only when a man is in that state of mind in which he knows exactly what he wants and is fully determined not to quit until he finds it." Eilean Donan Castle, located in the western Highlands of Scotland. Alexander Graham Bell was born in Edinburgh, Scotland on March 3rd, 1847 and is of course credited with inventing the telephone. His mother was partially deaf and his discovery was born from his desire to help deaf people. Alexander had an intense curiosity that led him down numerous paths of invention and discovery including aeronautics. have had the chief hand in their own education." "I determined never to stop until I had come to the end and achieved my purpose." and you have to stock it with such furniture as you choose." Inspirational Quote of the Day sent straight to your Inbox. Sign up here.